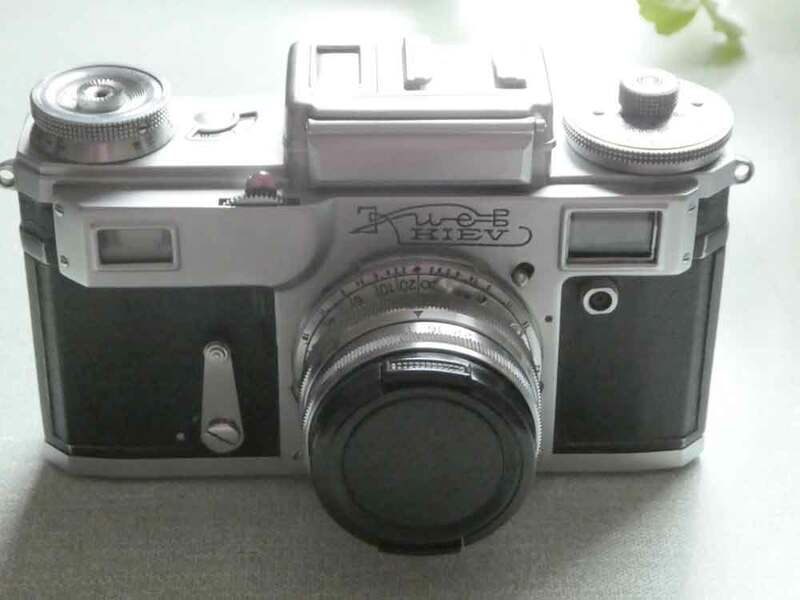 Kiev 4 (Киев 4) – John's Cameras. 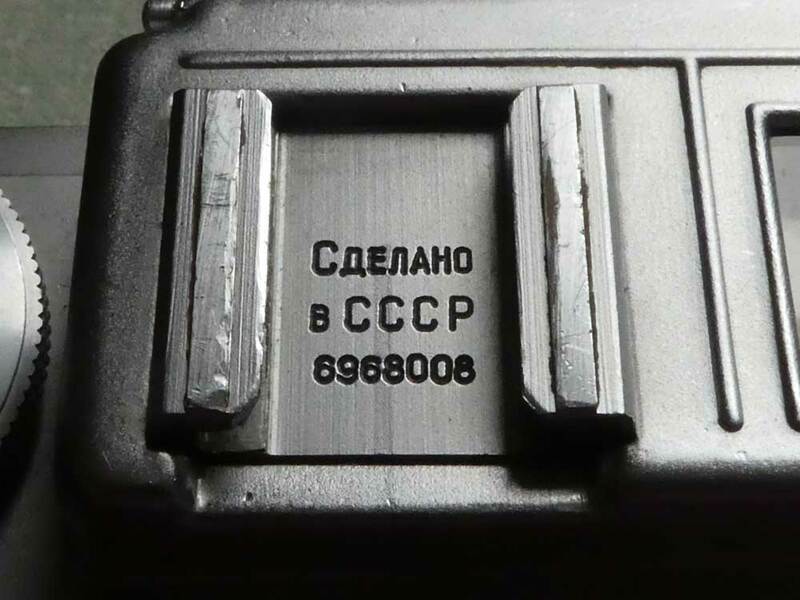 At the end of WWII, the Soviet army had Zeiss Ikon rebuild their production line for the Contax and then, once the line was working properly, they shipped the production line to Kiev in Ukraine. 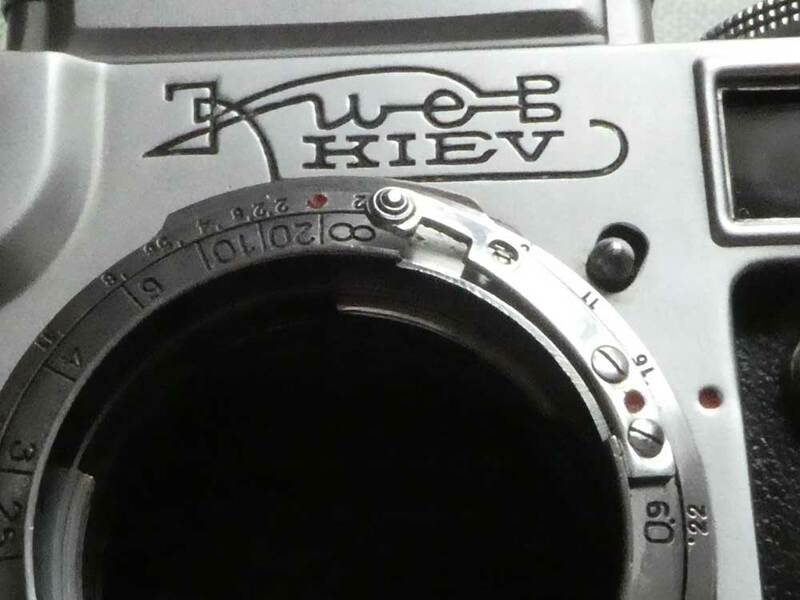 They also renamed the camera Kiev. 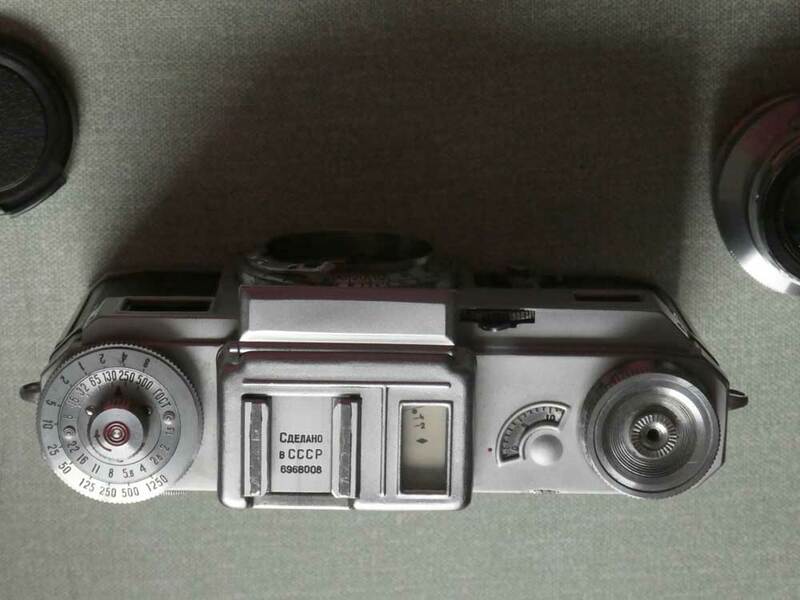 This camera is a Kiev 4 and is a copy of the Contax III – there was also a Kiev 4a which was a copy of the Contax II. The difference between the 4 and 4a is the presence of a light meter in the Kiev 4. 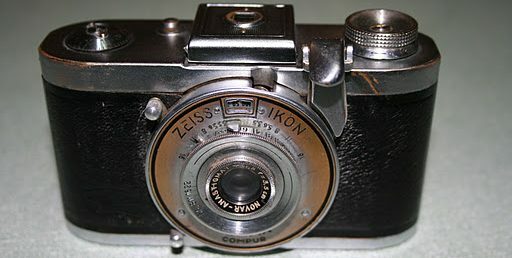 The camera has a very Zeiss Ikon look about it and the body is broadly similar to the Pentacon F and Contaflex – both German derivatives of the Contax, the Pentacon F being East German and the Contaflex being West German (younger readers should consult their history books!). 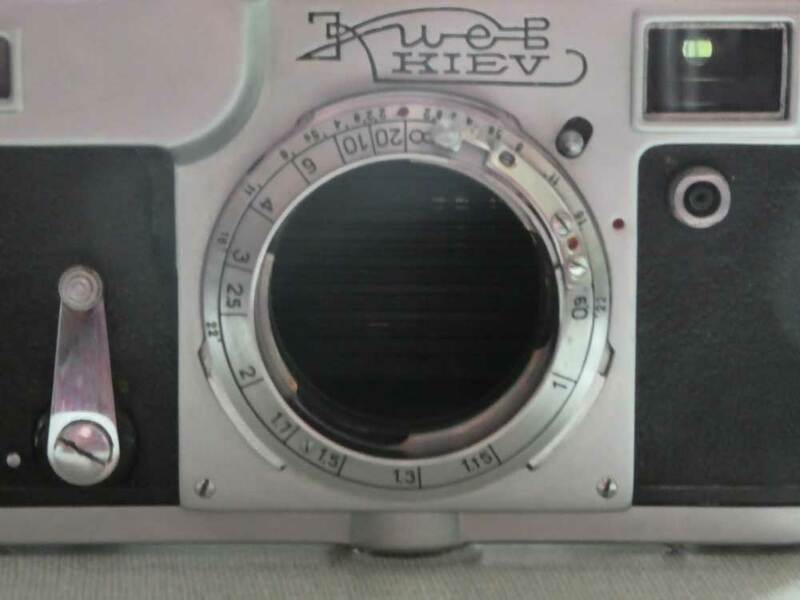 The camera is heavy – 768g with the standard Jupiter 8 lens – and the controls reveal the camera’s design date (1936). the film advance is a knob (usual in the 1930s, very old fashioned in 1969 when my camera was made) as is the film rewind. The viewfinder is very small, hard to use while wearing glasses and (because it is bare metal) likely to scratch modern plastic spectacle lenses. The last anochronistic item is the tripod boss which is 3/8 inch Whitworth. 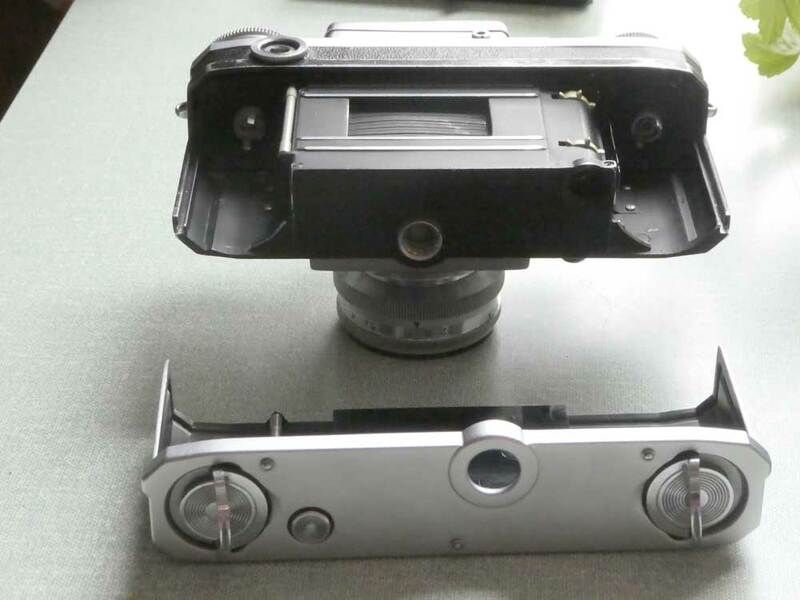 Standard for consumer cameras had been 1/4 inch for some tine (currently 1/4″ UNC rather than 1/4″ Whitworth but the two are close enough to be interchangeable). The shutter speed selector – operated by lifting and turning the film advance ring. On the top of the meter is the meter window. This has a central lozenge and -2 and -4 marks. The meter is used by turning the control knob on the left until the meter needle is centred on the central lozenge. The -2 and -4 marks are used in low light conditions – they are each one stop away from the central position. If there is insufficient light to get the meter needle to the lozenge, you line it up with the -2 or -4 and then multiply the indicated exposure by either one stop or two stops. The film speeds are indicated in гост which translates as GOST. This is basically the same as ASA (or ISO). The Gost scale is awkward as it does not have the usual ASA numbers. There is 65, 130, 250 and 500. 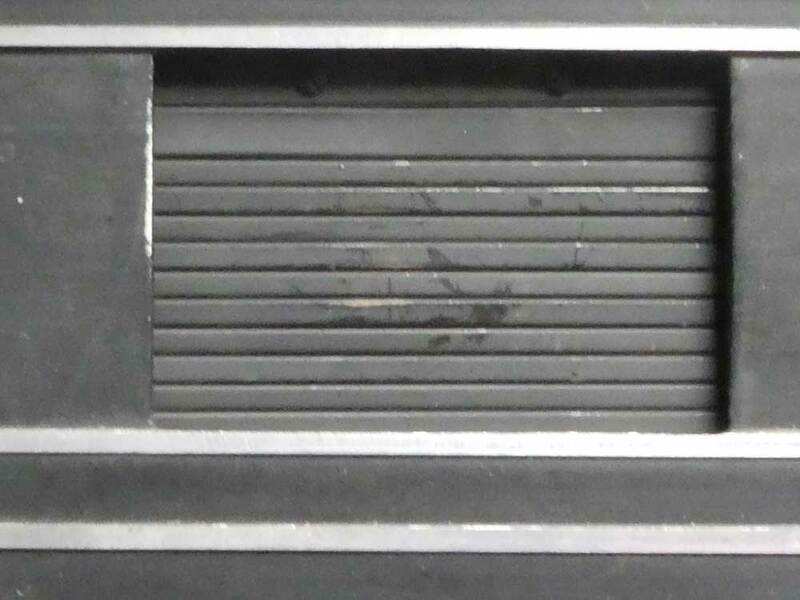 Using ‘western’ film, ASA 100, 200 or 400 film requires guessing the position of the film speed selector. If this scale was in DIN, it would be 20 DIN (65 Gost), 23 DIN (125 Gost), 26 DIN (225 Gost), 29 DIN (500 Gost) which is probably the reason for the choices – the camera having been designed in Germany where DIN is usual. Just to the right of the light meter and slightly below it is the rangefinder wheel mentioned above. I find this very hard to use as when my index finger is on the wheel ready to turn it, my middle finger naturally falls over the rangefinder window, rendering it inoperable. For me, it is much easier to focus by turning the lens. The rangefinder spot is easy to see and is slightly yellow for maximum contrast. 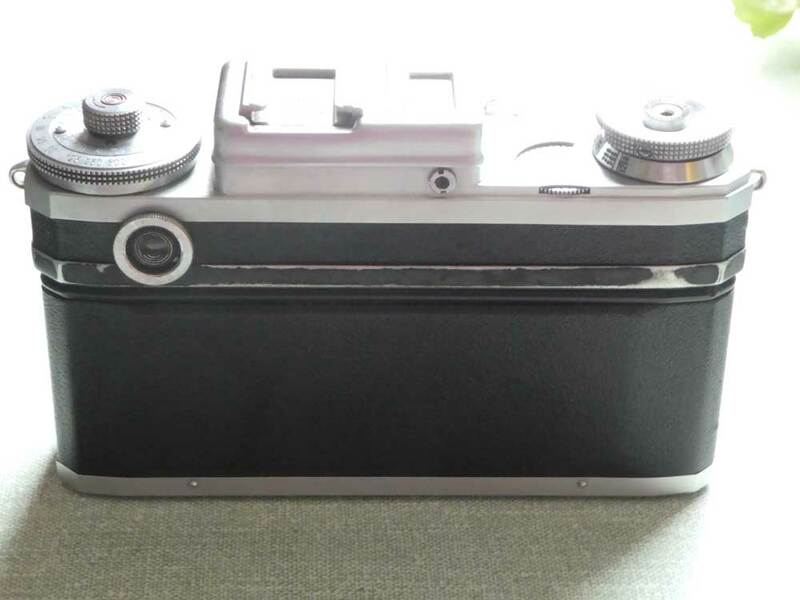 This yellowing is achieved by ‘silvering’ the internals of the rangefinder with gold. The reason for the loose take-up spool is that it can be replaced with an empty cassette, removing the need to rewind the film when finished. This gives a faster reload time – good for studio work but not good elsewhere. I think, in general, this camera was designed with the studio in mind. To release the back/base there are two folding lugs to turn half a turn. Inside the camera is as you would expect a 35 mm camera to be. Until, that is, you look at the shutter. Instead of the rubberised cloth usual until the 1980s, it consists of brass slats which move vertically and are held on cloth ribbons. 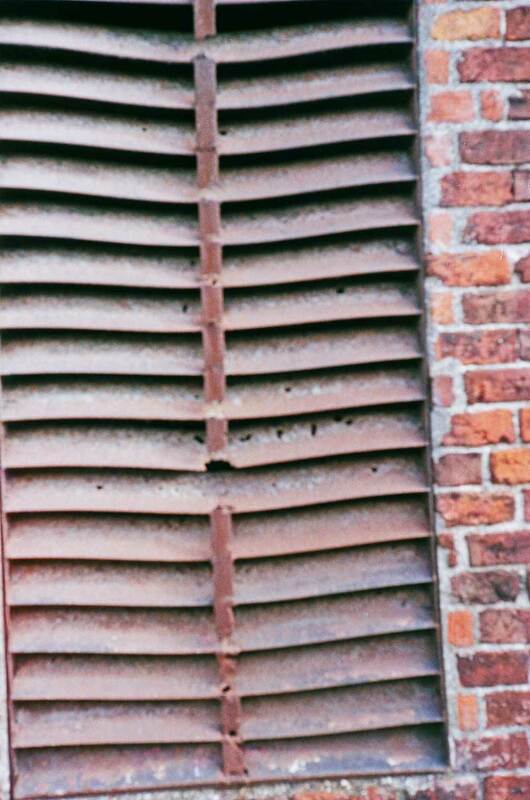 this works the same as a cloth shutter as distinct from the modern metal shutters. 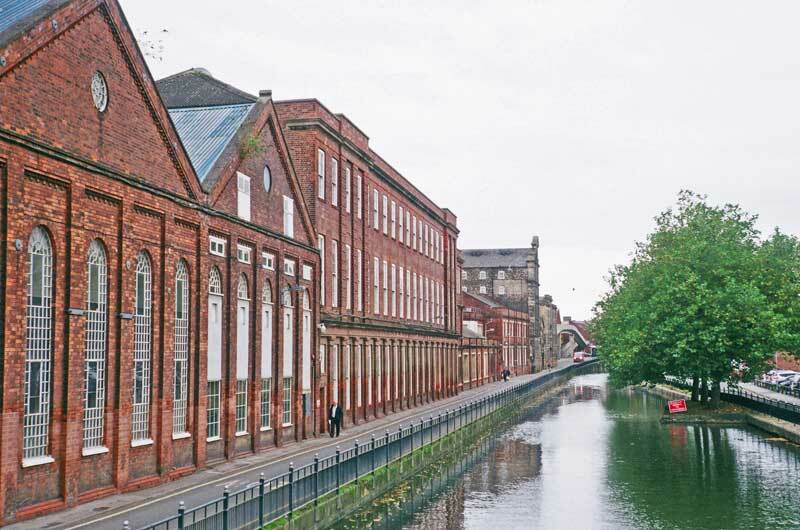 Speeds provided are impressive – up to 1/1250 seconds and down to 1/2 second. The speed range is the modern one of 1/125, 1/250, 1/500 etc. The lens supplied is the Jupiter-8M. 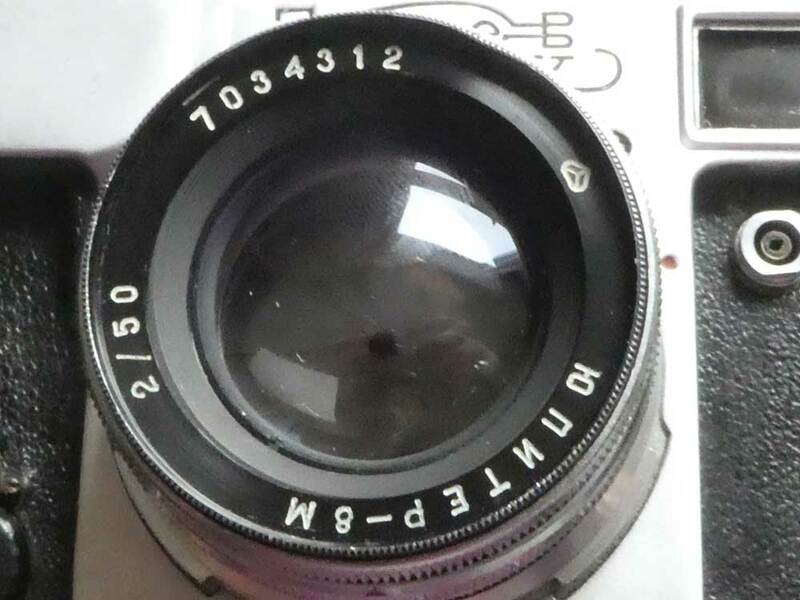 This is a Soviet copy of the Carl Zeiss Sonnar lens. 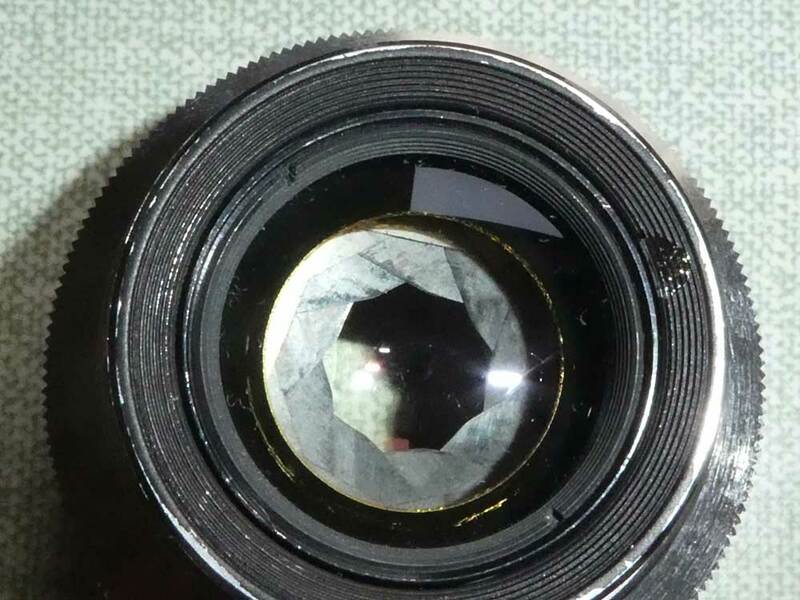 This lens has six elements in three groups. How well it performs remains to be seen. Someone has attempted to dismantle my lens (never a good sign) evidenced by the aperture adjustment ring being out of kilter. 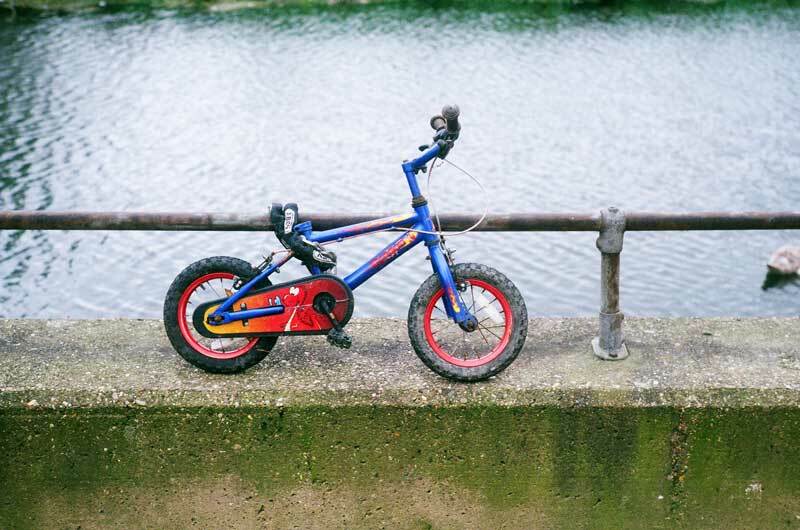 Hopefully, that is as far as they got – none of the internal black paint is scratched which his a good sign. Ro-orienting the aperture ring was simply done. 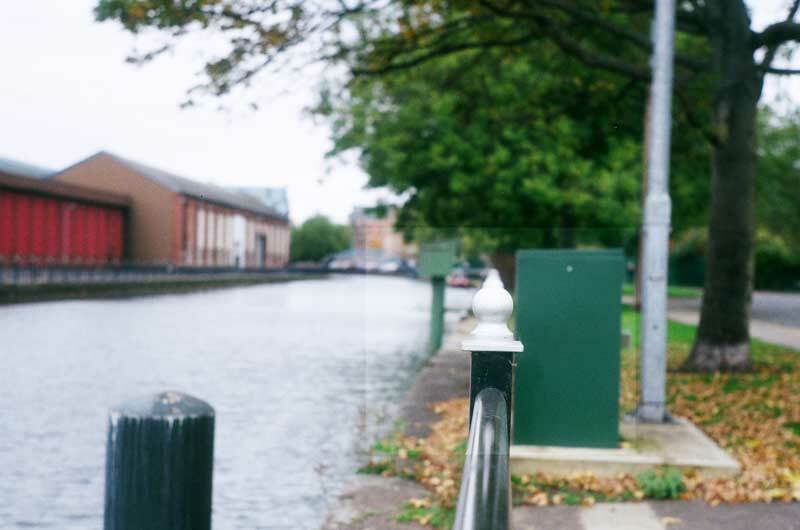 The Jupiter 8 M is a 50 mm lens with a maximum aperture of f/2 and a minimum aperture of f/22 – quite a useable range. f/22 is about the limit in 35 mm photography before diffraction softening starts to be a nuisance. The aperture ring has click stops but can still be set between these values The finish on this lens is shiny chrome with a black lens bezel. – contrasting with the matt chrome on the camera body. 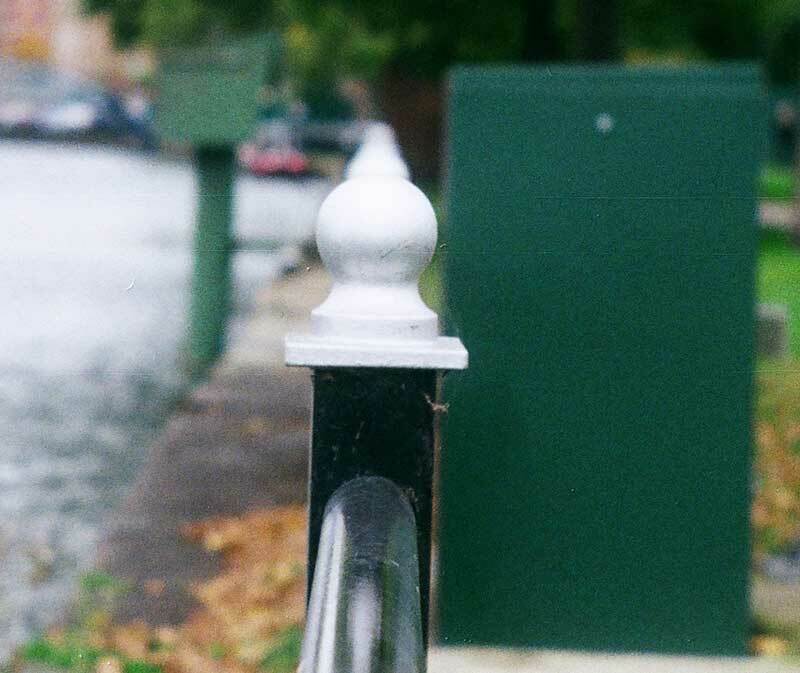 Test film is developed and here are the results. I am quite impressed. Soviet execution of German design is as good as it always is. 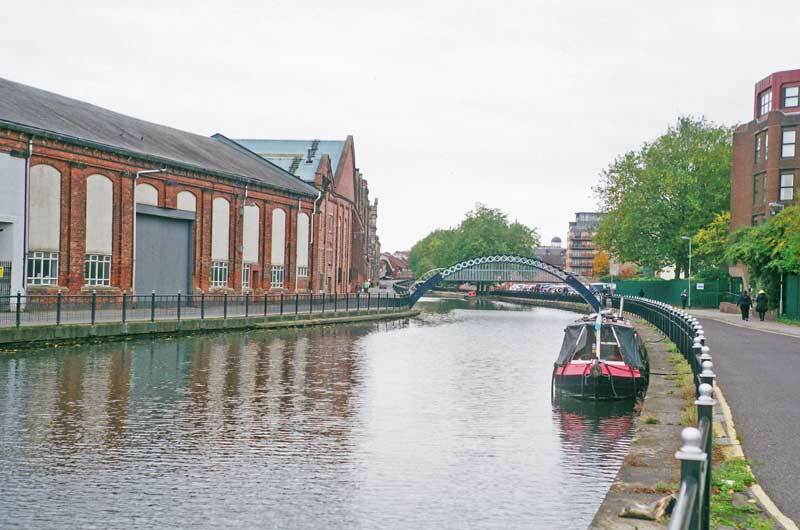 There are no light leaks – always a bugbear of old cameras, neither in the seals around the base/back nor in the sutler blinds – an advantage, I would think, of using brass rather than cloth. Exposure is even indicating that the shutter blinds are both moving smoothly. 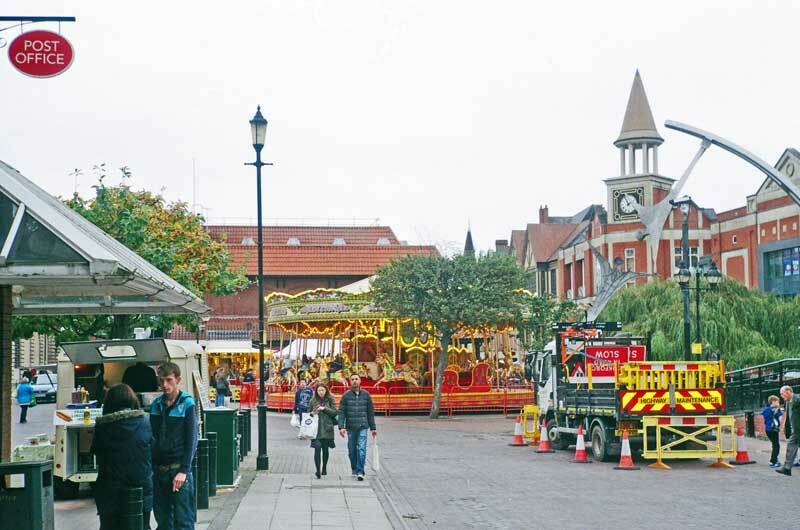 There is no lens flare – although these test pictures were mostly taken in rather overcast conditions. The rangefinder test (see below) shows both that the rangefinder is accurate at close distances and that the lens produces sharp images. 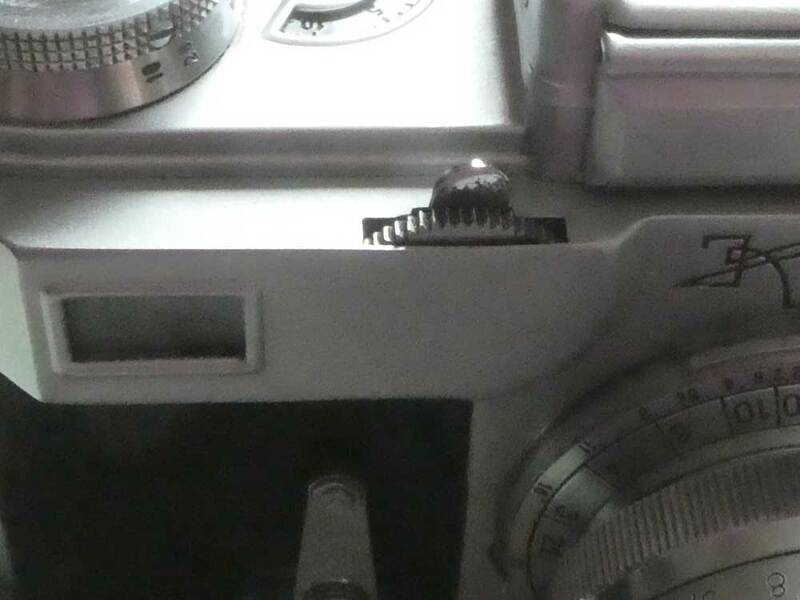 The picture of the iron shutter shows the one draw back of a rangefinder camera (or any viewfinder camera, come to that). 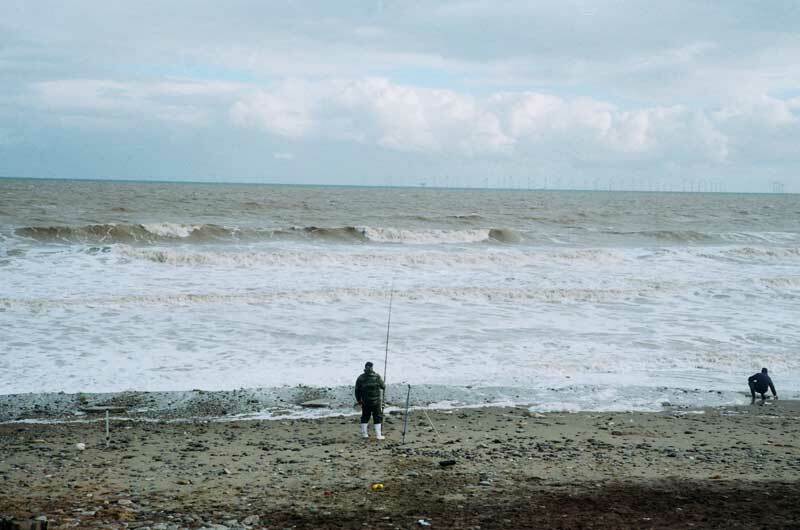 I had the shutter central in the viewfinder but it is distinctly off-set in the image – parallax problem. Some cameras adjust the viewfinder when focusing closer but not here. 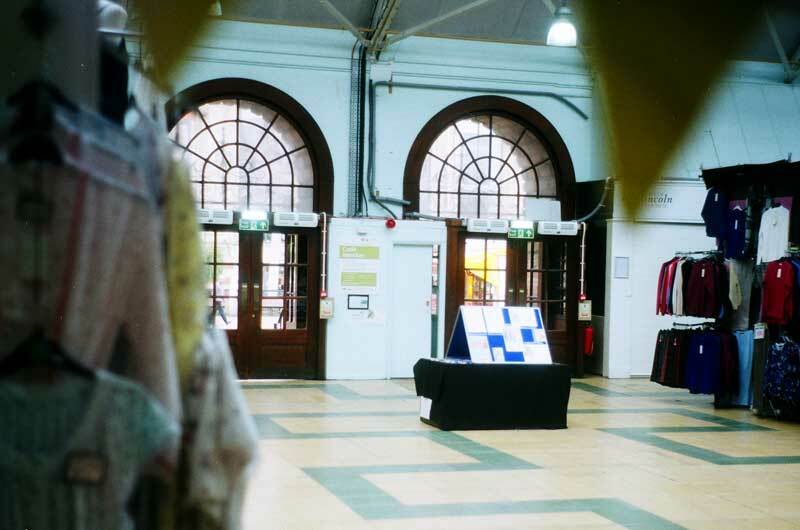 Indoor shot of Lincoln Central market – fairly slow shutter speed.